Changes in video surveillance systems. In recent years, our society has been exposed to conversations regarding video surveillance and police body-cameras. The technology around these cameras has continued to develop and transform to be better equipped to handle a variety of security breaches. 2016 was the year that saw a surge in cameras, especially HD cameras, accelerating the rate of data to manage. These days it’s not just the Homeland Security who are looking to upgrade their surveillance cameras. Now, more than ever, schools, universities, and even commercial businesses are looking to find cameras with higher resolutions, more sensors, and far-reaching panoramas. These various organizations seek to demand more sophisticated capabilities from their surveillance cameras. 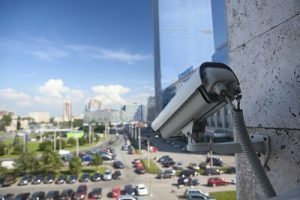 While prices of cameras remain low, more and more organizations are looking to expand their surveillance capabilities and begin investing in cameras. Although the tremendous amount of data certainly places a bit of a strain on storage and raises the importance of a smart, multi-functional storage strategy. However, the advanced intelligence in these cameras also raises the importance of software for storage management to manage all the data sufficiently. As the growth of analytical capabilities, increases and moves towards cameras, applications for video analytics are becoming more and more intelligent. Leading to organizations becoming extremely interested in the use of videos to better their businesses. Take retail companies as an example, they deploy videos to understand product placement, advertising, and store layout to obtain the best outcome for their overall business. By using video-based data to enhance business practices, these companies are benefitting by shifting their perspective to view cameras as an investment. There has been a speedy rise in the retention of body-worn cameras as federal funding for them increases. However, the increase in funding has not included storage. Many police departments are left trying to manage these new data sets, enacting retention policies, and spawning the storage infrastructure necessary to support the use of body-cameras. As the use of these body cameras increases, storage improvements will continue to be a concern for those with a lot of data. With the ever growing need for law enforcement agencies to cope with the influx of data from the various systems they already use, including- dash cams, body cams, interview rooms, and sally port devices- they need to be able to gather all that information securely and efficiently. Many agencies are looking for ways to better collect all the data while preserving the crucial chain-of-evidence obligations. This entry was posted on Thursday, January 5th, 2017 at 8:23 am. Both comments and pings are currently closed.